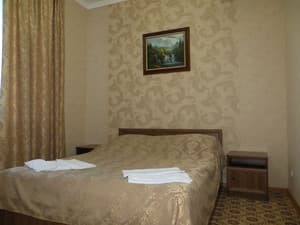 Mini hotel "Villa Prestige" is located near the exhibition center "KyivExpoPlaza", as well as the metro station "Nivki". 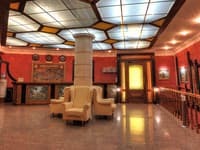 "Villa Prestige" combines refined interior and classic style. 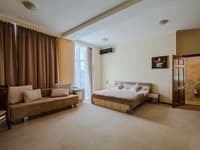 The hotel offers 5 modern rooms, each with a minibar, tea and coffee facilities, air conditioning, satellite TV, and free Wi-Fi. 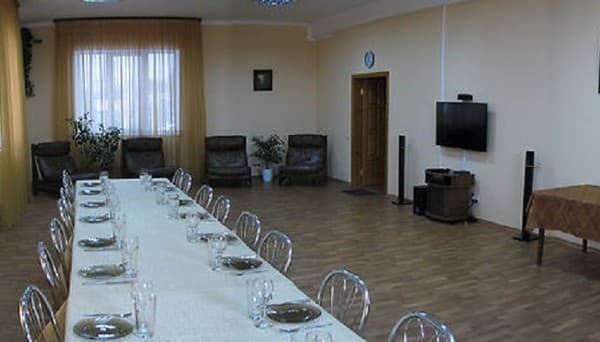 The hotel has an equipped kitchen and a spacious equipped hall that can be used for corporate events or any other festive events, as well as organize conferences, trainings and other important events. The distance from the railway station is 13.5 km, from Boryspil airport - 49 km, from Zhulyany airport - 17.4 km. 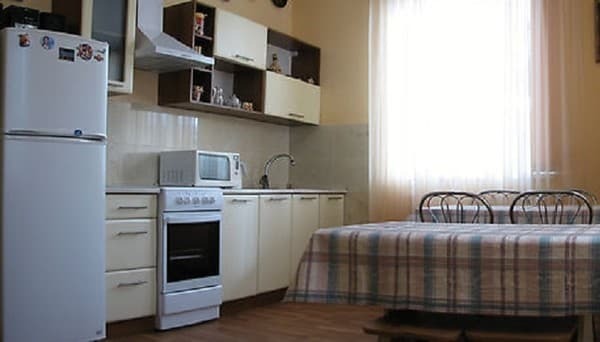 Description of the room: The room is up to 22 square meters. The double room is designed in classical style with a double bed with orthopedic mattress, wardrobe, carpet and all necessary equipment. View of the street / courtyard of the mini hotel. Description of the room: Double room up to 24 sq. M. The room has carpet, two separate beds with orthopedic mattresses, a wardrobe, air conditioning, tea and coffee accessories, mini bar. It is possible to provide additional space for the 3rd person. Все отлично, все довольны. так получилось, что приехали около полуночи - встретили, машину поставили, поселили. Очень приятные хозяева. Тихо и спокойно. В номере тепло, что лично для меня немаловажно. 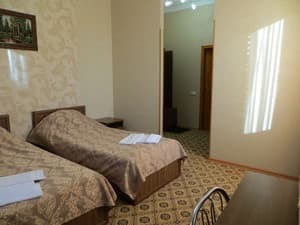 Children under 12 years without an extra bed are free of charge, an extra bed for children under 12 years old is 100 UAH, and over 12 years old - 150 UAH. 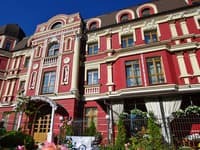 Mini hotel "Villa Prestige" is located near the exhibition center "KyivExpoPlaza" on the main street leading directly to Independence Square. It is convenient for guests to travel either by car or by air or by train. Nearby there are shops Novus (800m), Auchan (1km), a construction hypermarket Epicenter (1.3km). 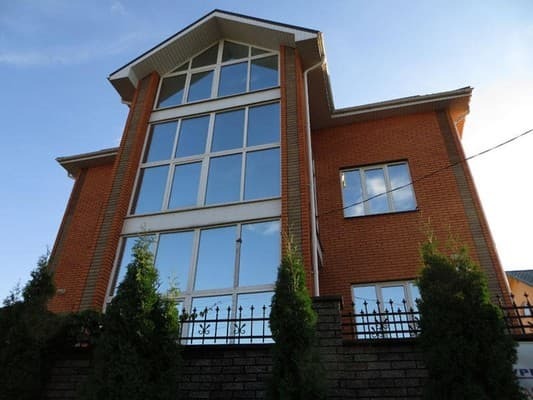 The distance from the railway station is 13.5 km, from Boryspil airport - 49 km, from Zhulyany airport - 17.4 km.